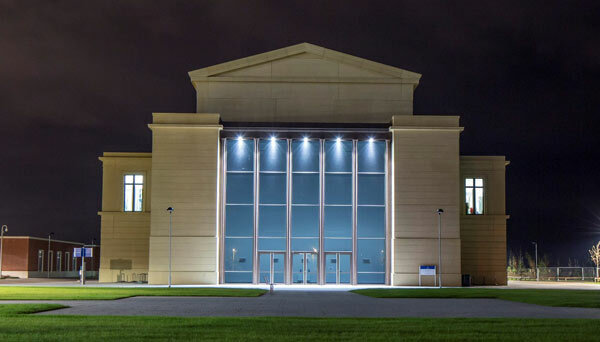 The iconic Great Hall of Swansea University is recognised as one of the most ambitious projects in the UK higher education sector for decades. 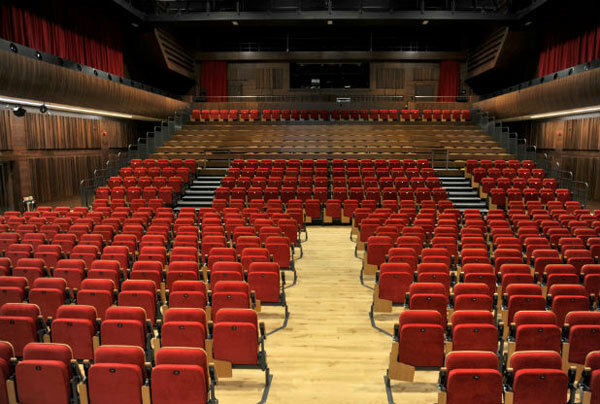 Located at the centre of the Bay Campus it provides a beautiful space for the University to host music concerts, conferences and large events, as well as community arts, cultural events and festivals. The £32m facility was designed by world renowned architect, Dr. Demetri Porphyrios, and delivered by lead developer, St. Modwen. 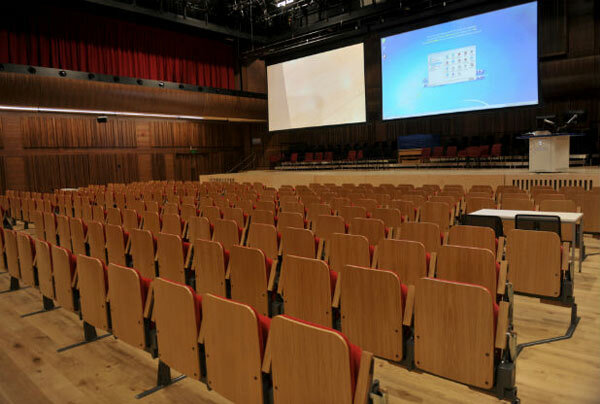 The Great Hall includes the 700-seat Sir Stanley Clarke Auditorium, which provides near perfect acoustic qualities, nine teaching spaces varying from 300 seated tiered lecture theatres to 20 seated seminar rooms and a café/ bar area overlooking Swansea Bay. 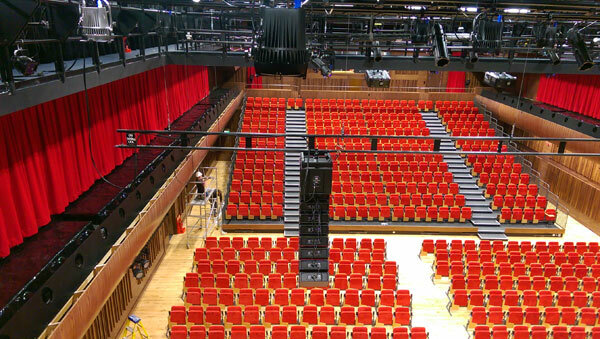 Marquee AV was appointed to provide the Great Hall’s audio and video infrastructure and systems. 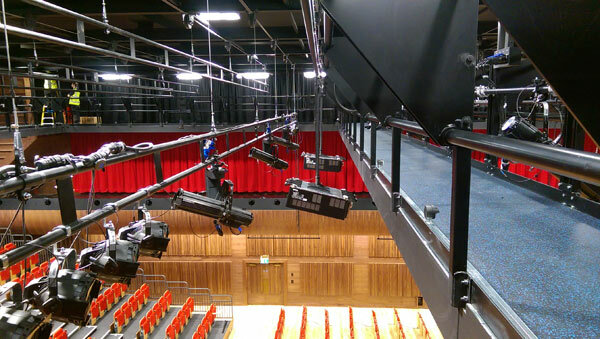 Incorporating 60km of AV cabling, the systems installed by Marquee AV included the audio show relay and paging, video show relay, stage managers console, FOH PA and state-of-the-art video projection. The main PA system comprised an EM Acoustics HALO small-format line array system with MSE-218 subwoofers and M-10 monitors, driven by EM Acoustics DQ20 advanced system amplifiers. Wired mics included Shure, Sennheiser and AKG and the wireless system is a Sennheiser EW300G3. Mixing is provided by Yamaha CL1 and CS-R10 consoles. The cutting-edge video installed by Marquee AV was the NEC NP-PH1202HL 12,000-lumen Laser/Phosphor Professional Installation Projector – a first to be installed in the UK. To officially mark its opening, the Great Hall was lit up in the night sky for a week. 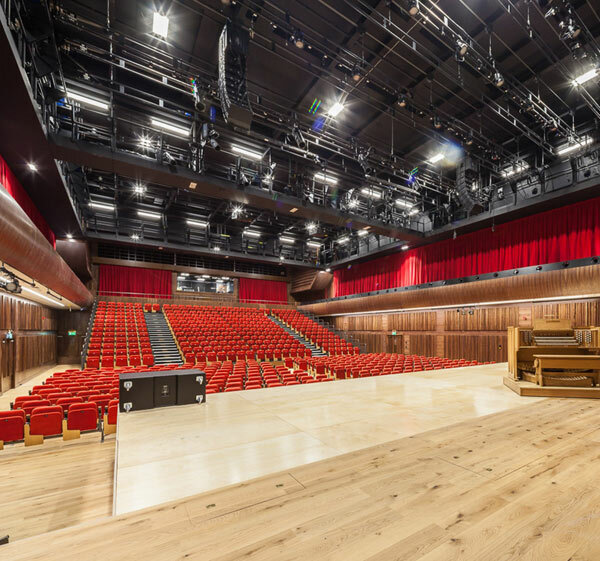 The Great Hall is a world-class concert and conference facility for Wales and an inspirational space where members of the public can join the campus community in a truly special environment.